Gallbladder is an organ with close affinity to the bottom surface of the liver. Its exact location can be, however, quite variable and it is often not so easy to find it. It is crucial to examine the gallbladder on an empty stomach. 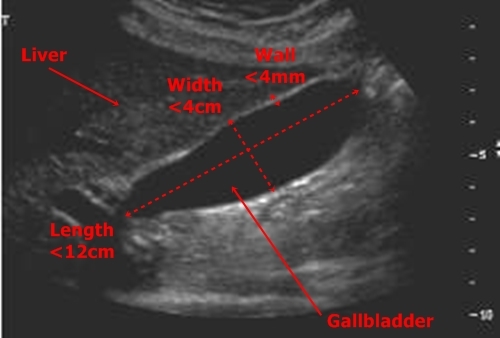 Otherwise, there is a risk of postprandial contraction, which is connected with a false finding of thickened gallbladder wall (In this case it is normal and not a pathology!). Gallbladder could be also examined through intercostal spaces. If we are unable to find the gallbladder it is always wise to ask the patient if he underwent a cholecystectomy. 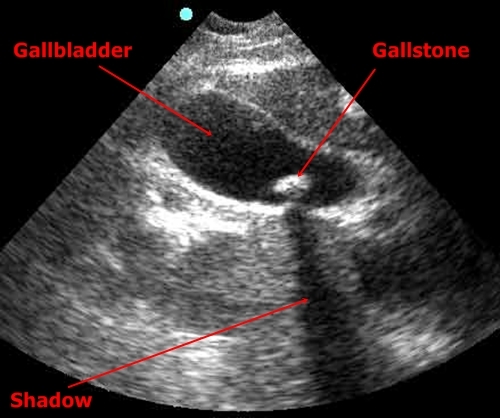 Gallstones – Concrements are visible as hyperechogenic objects emitting classic hypoechogenic shadow. Sludge looks like amorphous hypoechogenic mass inside the bladder. Gallbladder polyps – Polyps grow into the gallbladder lumen. They have similar echogenity as the gallbladders wall. They could be easily mistaken with gallstones, but we never find ultrasound shadow behind polyps! Gallbladder polyp- Practically the same appearance as a concrement but without the shadow! 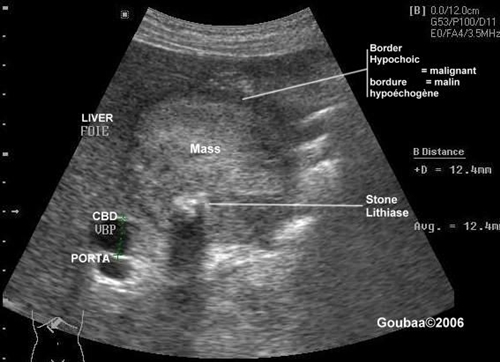 Acute cholecystitis – The wall of the gallbladder has typically preserved its stratified structure but it is thickened over 4mm. Often there is an anechogenic fluid near the gallbladder (between gallbladder and liver tissue) which is a important mark of pericholecystitis. 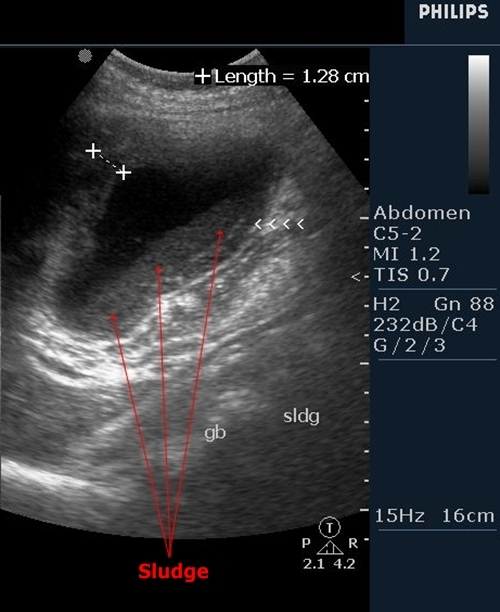 Air in gasbladder speaks for emphysematous acute cholecystitis. It is caused by air-producing bacteria. 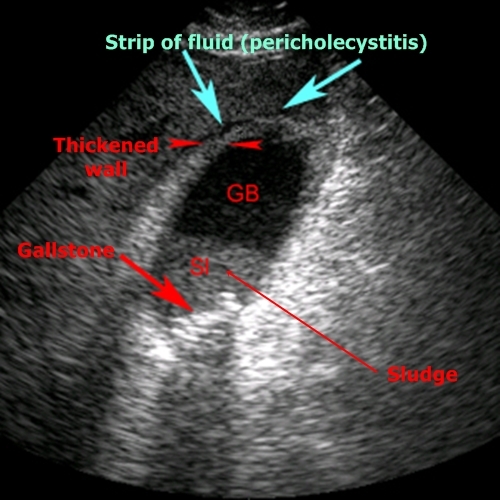 Acute cholecystitis - Wall is thickened (I have to say that I couldnt see its stratified structure in this case) and there is a strip of fluid near the gallbladder (pericholecystitis). Inside the bladder there is a gallstone and sludge. 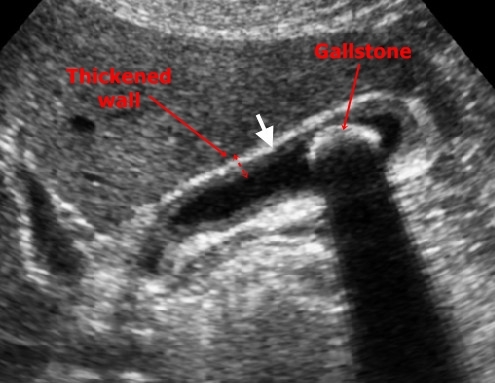 Chronic cholecystitis – Gallbladder wall is all around thickened over 4mm. There are often gallstones present inside the bladder. Gallbladder cholesterolosis – It doesnt have a big clinical importance and is relatively common. Deposits of cholesterol in bladder mucosa look like little hyperechogenic marks in the bladder wall. 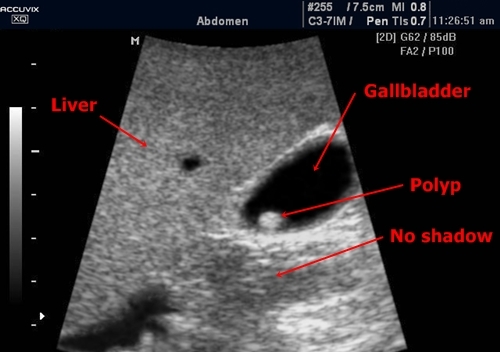 Gallbladder tumor – It is typically an anisoechogenic irregular infiltration, which invades into the gallblader lumen and into surrounding structures. 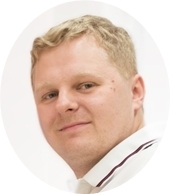 By such finding it is important to closely examine liver tissue for eventual metastases. Gallbladder tumor - This is practically an unsolvable condition. Irregular tumour mass with a hypoechogenic perimeter has totally consumed the gallbladder and grows into the liver tissue. There is a visible calcification in the tumor mass.